The Eastland, renamed the Wilmette, hauled freight and passengers, served as a Navy training ship, sank a U-Boat in Lake Michigan, and listed to the right! The Twin Screw Steamer Eastland – later the U.S.S. 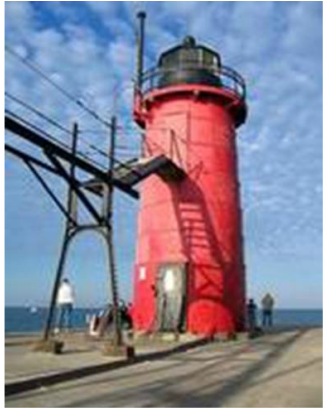 Wilmette- lived several incarnations throughout the 43 years between its 1903 launch in Port Huron, Michigan, and its scrapping in the Chicago River in 1946. The Eastland also survived a mashed potato mutiny, countless freight and passenger trips on Lake Michigan and Lake Erie, a deadly roll over in the Chicago River, years of naval recruit training on its decks, and World War I and World War II. On May 6 1903, a celebrating crowd of 6,000 people watched Frances Elizabeth Stufflebeam, otherwise known as Mrs. John Pereue, christen the Eastland with a symbolic bottle of champagne. Built by the Jenks Ship Building Company in Port Huron for the Michigan Steamship Company to carry fruit and other cargo between Chicago and South Haven, Michigan, the Eastland slipped into a side launch in the Black River in Port Huron, Michigan. After a fitting for engines and boilers, the Eastland began her maiden voyage on July 16, 1903, with Frances Pereue’s husband, Captain John Pereue in command, traveling to Mackinac and then to South Haven, Michigan. The cook explained that the first crew at dinner had eaten all the mashed potatoes but that more were being prepared and would be ready in a few minutes. In the meantime the men were offered plain boiled potatoes. Captain Pereue tried to convince the firemen, all from Chicago, to return to work, but they refused. The ringleaders, Glenn Watson and William Madden, fought hard before they were subdued and put in irons and their four companions were driven below deck as prisoners. Captain Pereue put a Chicago policeman who happened to be aboard in charge of the men guarding the seven firemen. In the meantime, the Eastland had come to a halt because of low steam, and curious and alarmed passengers flocked to the lower decks. Ship’s officers, dining room waiters and volunteers donned working clothes and went below to fire the boilers in shifts and finally they raised the steam to 200 pounds and the Eastland steamed ahead. When the Eastland arrived in South Haven an hour later than usual, the mutineers were all manacled and marched to the police station to wait for the arrival of United States Marshal O’Dinn of Grand Rapids. The firemen gave their names as Mike Davern, Ben Myers, Glenn Watson, Frank Leplant, Ed Flemming, Mike Smith, and William Madden. The firemen claimed that the food served was unfit to eat and was mostly leftovers from other tables. The Marine Firemen’s Union supported the Eastland firemen and declared that they planned to call a strike on the steamer and that no firemen would work on her. General Manager Leighton of the Michigan Steamship Company said that the company would prosecute the case. The United States Marshal was scheduled to hold an examination of the men before the Circuit Court Commissioner. Two days later, five of the imprisoned mutineers were released because investigators discovered that they weren’t involved in the mutiny, having been relieved of their watches before the strike. Glenn Watson and Ed Fleming were still being held, awaiting the arrival of the United States Marshal. After a conference with the attorney for the boat company and Union Delegate McKiffen from Chicago, papers charging Watson and Fleming with mutiny were drawn up to be served when the Marshal arrived. A fireman commented about the working conditions of firemen when he discussed the mashed potato mutiny with a Duluth Herald Reporter. The reporter quoted the fireman’s remarks in the Duluth Herald of August 19, 1903. The fireman wasn’t surprised that the Eastland’s firemen had mutinied because their working conditions were hellish. Firemen blistered and sweltered in 150 degree temperatures without a hint of fresh air because the ventilators were usually about forty feet from the men and the air that did reach them wasn’t fresh. He said that freighters and more modern boats had less trouble with their firemen, because they were easy to steam. Firemen had a worse time on older vessels built 15 or 20 years earlier. The owners of the older vessels added two or three feet to the decks to increase their carrying capacity, but they didn’t add any extra power. The owners still expected captains to make the same time, so the captains in turn pressured the firemen to work harder. The fireman said, "Coming up from the hold, weak and faint from their hard labors in the stifling fire room, the cook is frequently the first person they run afoul of and he generally gets the benefit of their ill humor." The fireman concluded his remarks by noting that when firemen jumped port they generally jumped from an older boat and the strikes that on the surface were based on flimsy reasons were really caused by a long line of harsh conditions that the firemen have endured. Trifling events usually symbolized the last straw. At an August 20, 1903, hearing in Benton Harbor, Michigan, the Eastland’s owners declared that the company would drop the mutiny charges against the two firemen from the ship. Firemen Glenn Watson and Edward Fleming were bound over to the United States District Court at a hearing before United States Commissioner Harvey. Although the ship’s officers agreed with the officers of the firemen’s union not to press the mutiny charges and the company agreed to drop the charges, the government officers felt that the case should not be dismissed. At the close of the hearing, Deputy United State Attorney Covell took the prisoners Glenn Watson and Edward Fleming to jail at Grand Rapids. According to the Duluth Herald, Captain Pereue and Mate Charles Richardson were in Chicago all day on August 20, 1903, aboard the dry docked Eastland. The captain said, "Although I made the mutiny charges, General Manager Leighton has been acting for the company in adjusting the matter. He gave me to understand that Watson and Fleming were not to be prosecuted by officers of the company. Therefore, I did not go up to the hearing at Benton Harbor today." No more mashed potato mutinies disturbed the peaceful voyages of the Eastland. In 1907, the Michigan Steamship Company sold the Eastland to the Lake Shore Navigation Company, which operated it for five years on Lake Erie. In 1913, the St. Joseph-Chicago Steamship Company bought the Eastland and returned it to Lake Michigan waters. On the morning of July 24, 1915, 2,500 employees of the Western Electric Company and their family and friends boarded the Eastland which was moored in the Chicago River. They planned to enjoy a day of cruising on Lake Michigan and picnicking and dancing. The Eastland rolled over on its side while still moored to the dock, and more than 800 people were killed, most of them drowning in the Chicago River. The Eastland disaster was the third largest maritime disaster in the United States, behind only the Titanic and the Sultana. Political infighting, corruption, and attempted cover-ups marred the aftermath of the Eastland disaster. Various owners had attempted to cover up the fact that the Eastland was prone to listing and hard to control. The St. Joseph-Chicago Steamship Company raised the Eastland, but it had to finance the salvage operation and pay damages to the survivors. The Company moved the Eastland to the North branch of the Chicago River while it decided her fate. On December 20, 1915, Captain Edward A. Evers of the Ninth Naval Training Group bid $46,000 against several competitors for the hulk of the Eastland. He planned to convert the crippled Eastland into a training vessel for the Illinois Naval Reserve. Renovations to the Eastland began in 1916, and continued until America entered World War I in April 1917. On January 17, 1918, the United States Navy took charge of modifying the Eastland for gunboat service in the North Atlantic. By October 1918, the Eastland’s name had been changed to the USS Wilmette and she had been outfitted and ready to serve. The Eastland’s bow had been removed so she could fit through the Welland Canal and she had been fitted with a false bow so she could travel under her own steam to Boston, when the November 11, 1918, Armistice brought World War I to a close. Captain Evers regained command of the US S Wilmette and she reported for active duty on August 3, 1920. 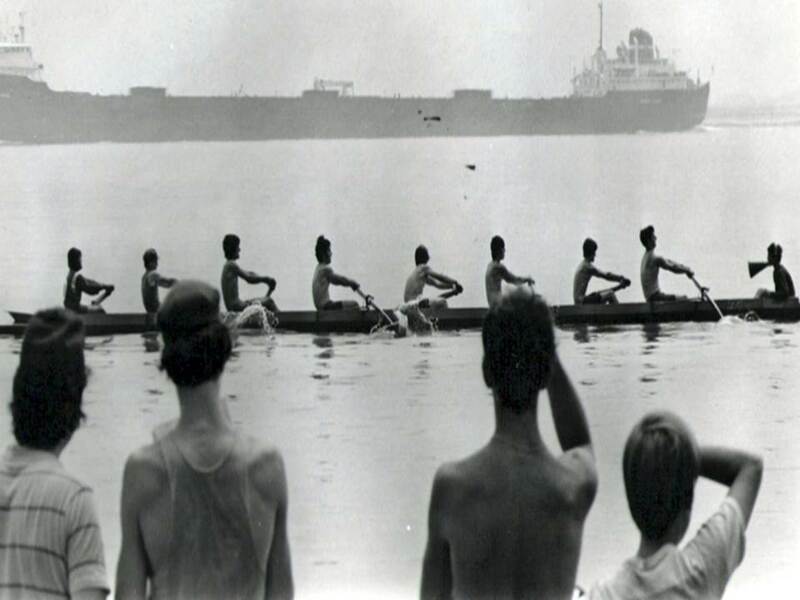 Now radically changed, cut down, and renamed, the USS Wilmette steamed 150,000 miles on the Great Lakes introducing thousands of Midwestern farm boys to their sea legs. In June 1921, Ernie Pyle, a member of the Naval Reserve, went for a three week Naval Reserve training cruise. He recalled his cruise in one of his newspaper columns in his book Home Country, noting that the Wilmette "constantly shied to the right." On June 7, 1921, the USS Wilmette left her dock at the end of Randolph Street in Chicago and steamed out into Lake Michigan, on the mission of sinking a captured German submarine, UC-97, which the USS Hawk had towed into Lake Michigan. Gunner’s Mate J.O. Sabin, who had fired the first American shell in World War I, and gunner’s Mate A.F. Anderson, who had fired the first American torpedo in the War were aboard waiting to carry out their part of the mission. The two mates fired thirteen shells and ten of them sunk the UC-97 in ten minutes. In August 1943, in the midst of World War II, the Wilmette cruised McGregor and Whitefish Bays in Lake Huron with President Franklin Delano Roosevelt, Admiral William Leahy, James F. Byrnes and Harry Hopkins aboard plotting war strategies. The government chose the Wilmette for this secret mission, because of her comfortable cabins which were holdovers from the Eastland. After the end of World War II, the Navy put the Wilmette in mothballs to await her fate and in 1946, the government offered her for sale. On October 31, 1946, her new owner judged the USS Wilmette to be worth about $2,500. He moored her on the South Branch of the Chicago River and eventually workers and their burning torches reduced her to scrap. A tiny piece of material loosened from the Wilmette by the torches floated down the Chicago River on a voyage to Lake Michigan. By early 1947, 43 years after her launching in the Black River at Port Huron, a piece of the Eastland had returned to Lake Michigan. Bonansinga, Jay. The Sinking of the Eastland: America’s Forgotten Tragedy. Citadel, 2004. Hilton, George W. Eastland: The Legacy of the Titanic. Stanford University Press, 1995. Mansfield, J.B. History of the Great Lakes. Chicago: J.H. Beers & Company, 1899. Pyle, Ernie. Home Country. Amereon, Ltd., 1985.